Monday through Friday 10 a.m. – 2 p.m. Deadline for Tuesday publication is 10 a.m. Friday. Deadline for Friday publication is 10 a.m. Wednesday. 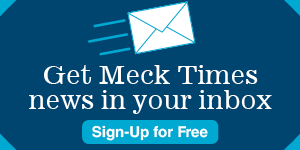 The Mecklenburg Times’ Public Notices serve the community by informing citizens of government actions, environmental conditions and economic changes. Public Notices alert you when the interests of your family, neighborhood or business are affected by what others do. Public Notice advertising invites you to participate in the democratic process and in business opportunities. The Mecklenburg Times subscribes to standards outlined by both American Court and Commercial Newspapers Inc. and the National Newspaper Association. These standards encourage newspapers of general circulation throughout the United States to publish notices in an organized, visible and prominent manner in readable, clear typeface with easily readable formats. Notices of Administration/Notice to Creditors notify any individuals or creditors who may have a claim against an estate whose owner has deceased. Notices of Service are complaints filed in court by individuals or businesses for the purpose of receiving settlements for property, obtaining divorces, child custody, and property and tax liens. Public Auctions are notices published by auctioneers and storage facilities when properties are being sold due to delinquent bills. City of Charlotte notices inform citizens of city hearings, zoning changes, ordinances, and city code enforcement processes when properties are inspected and conditions are found which violate the Charlotte housing code. Notices of Foreclosure are filed in the court by substitute trustees who are required to advertise upcoming sales or auctions on properties for delinquent mortgages and homeowners associations. These notices also consist of auctions due to tax delinquency, usually identified as Commissioner Sales of Real Estate. Miscellaneous Notices consist of corporation dissolutions, United States seizures of property, and annual reports filed from tax-exempt organizations. Sheriff Sales are scheduled auctions for properties seized due to liens or judgments. These sales are conducted by the Mecklenburg County Sheriff’s Office, within Mecklenburg County and other authorities in other jurisdictions.